DICER1 syndrome is a rare tumor predisposition syndrome with manifestations that predominantly affect children and young adults. The syndrome is typically caused by heterozygous germline loss-of-function DICER1 alterations accompanied on the other allele by somatic missense mutations occurring at one of a few mutation hotspots within the sequence encoding the RNase IIIb domain. DICER1 encodes a member of the microRNA biogenesis machinery. The syndrome spectrum is highly pleiotropic and features a unique constellation of benign and malignant neoplastic and dysplastic lesions. Pleuropulmonary blastoma (PPB), the most common primary lung cancer in children, is the hallmark tumor of the syndrome. Other manifestations include ovarian Sertoli-Leydig cell tumor, cystic nephroma arising in childhood, multinodular goiter, thyroid carcinoma, anaplastic sarcoma of the kidney, embryonal rhabdomyosarcoma, and nasal chondromesenchymal hamartoma, in addition to other rare entities. Several central nervous system (CNS) manifestations have also been defined, including metastases of PPB to the cerebrum, pituitary blastoma, pineoblastoma, ciliary body medulloepithelioma, and most recently primary DICER1-associated CNS sarcomas and ETMR-like infantile cerebellar embryonal tumor. Macrocephaly is a recently reported non-neoplastic, haploinsufficient phenotype. 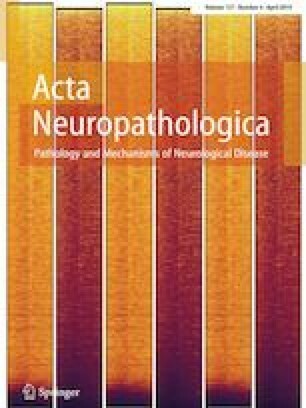 In this manuscript, we review the CNS manifestations of DICER1 syndrome.